ViewSonic VX2452MH Review - Best Budget Full HD Gaming Monitor? Home » Reviews » ViewSonic VX2452MH Review – Best Budget Full HD Gaming Monitor? There is a myth that going around the computer market is that you have pay quite a lot of bucks to get a great gaming monitor. However, that is not true, at least not with the ViewSonic. As we go ahead in the article we will be talking about one of such reasonably priced monitor by ViewSonic which is the ViewSonic VX2452MH. It is one of such few monitors that is priced at a reasonable price for the specifications and features it is offering. Hence we have decided to give a write up to the monitor. As we will go with this article we will be talking about the specialties of the monitor and will talk about its top features. Also, we will have a closer look at its design and performance. As well as we will mention some pros and cons to help you out with your purchase decision. 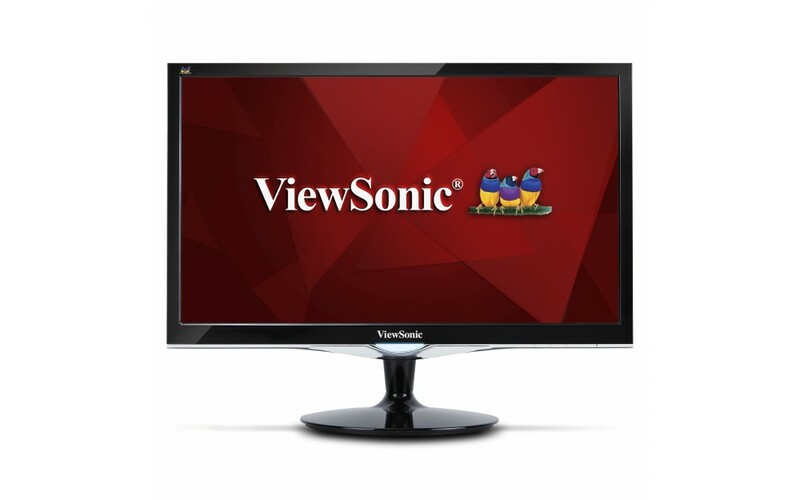 So let’s just head into the ViewSonic VX2452MH review without wasting much of the time. If we talk about the company, well ViewSonic is in the business for many years now. Over the years it has gained quite a lot of customers by offering products at an affordable price. However, the company always has made monitors for PCs and by doing so they ruled the market. But we still have to find out if the company is as great as pc monitors when it comes to gaming hardware industry? Well, we will find each and every question answer as we go ahead in the article. 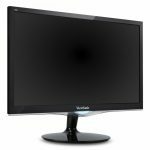 ViewSonic VX2452MH Review – Is this the best gaming monitor for a Reasonable Price? One of the first questions is that why we should consider the ViewSonic VX2452MH over other gaming monitors that are available on the market?. Starting with the specifications at first, the ViewSonic VX2452MH sports a display size of 24 inches and offers a resolution of 1920 x 1080 pixels. The ViewSonic VX2452MH is a full HD 1080P gaming monitor that comes with a TN panel. Under the hood, the monitor sports two decent speakers and offers a response time of 2ms. Talking about the design, the ViewSonic VX2452MH gaming monitor has failed to impress many of the gamers out there. The bezels on the front are quite thick also the monitor sports the traditional monitor design that we usually get to see. It feels like the company has not put any efforts to make the monitor look like a gaming monitor. Even in this budget segment, there are quite a lot of manufacturers who have launched their products with a good design. However at the end what actually matters is the performance. I do not think that someone would look at the design while playing a game. 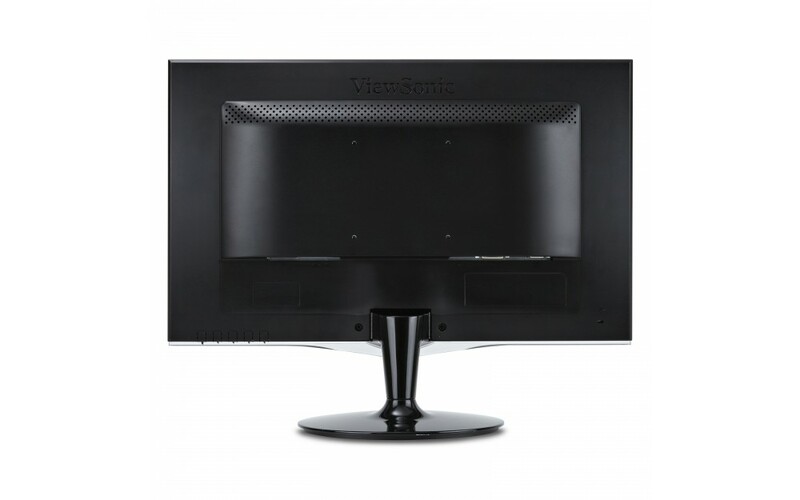 Talking about the ViewSonic VX2452MH gaming monitor, well it comes with a stand an almost round shaped base. The buttons are placed nicely at the bottom of the gaming monitor. One of the things that I have really liked about the monitor while our ViewSonic VX2452MH review session. Apart from the buttons, you are getting a wall mount option at the back. 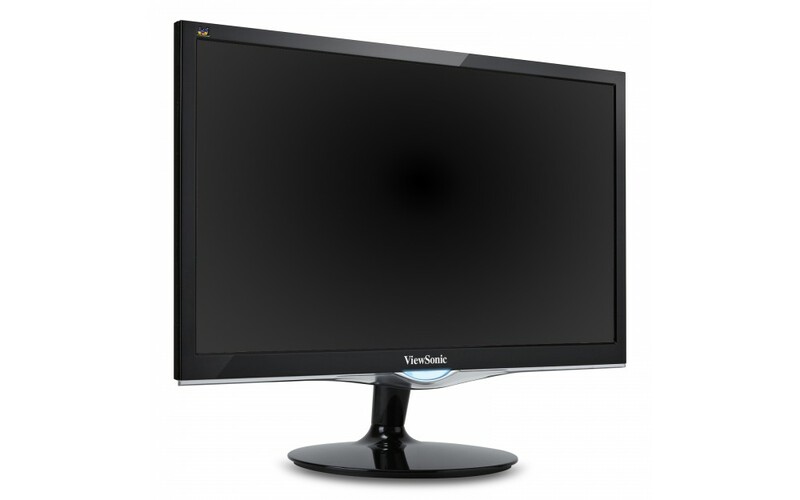 However, if you are looking for a slim design then the ViewSonic VX2452MH monitor might disappoint you. It is actually quite thick but it is okay as long as the monitor offering you a great performance. Also, we will talk about the performance later in the article. Well coming back to the design all I can say is that the design of the ViewSonic gaming monitor is average, sports a traditional look but still it’s quite okay. Coming to the features of the monitor, there are a few things that I have liked about the monitor so far. First of all the monitor comes with the inbuilt speakers that are quite a nice thing. As most of the gamers out there do not like the sound of the inbuilt speakers hence they end up connecting external speakers. But not all of them feel the need of connecting external speakers. But it is good that the company have added the speakers as it kills the need of external speakers. Although, at the end, it depends on the gamers if they feel a need for external speakers they will use an external speaker. No matter how good speakers they are getting with the monitor. Talking about the second feature that I have liked about the ViewSonic gaming monitor is that the gaming mode. Most of the manufacturers do not care about adding a game mode but Viewsonic did. The gaming mode offers a heightened visibility and picture detail in a game by brightening the dark scenes. This makes super easy to sport enemies in a game. In order to activate the gaming mode, you just have to press a button and you will be good to go. Although the gaming monitor does not support modes like movie mode or any other viewing mode. But the 1080P display offers enough detail for the multimedia contents. So I do not think that the monitor will disappoint you while watching a movie. The other thing that I have liked so far about the ViewSonic VX2452MH gaming monitor is that to offer dynamic, rich and accurate image the monitor comes with superior dynamic contrasts ratio. This makes the picture quality more vibrant and offers sharp and crisps images. 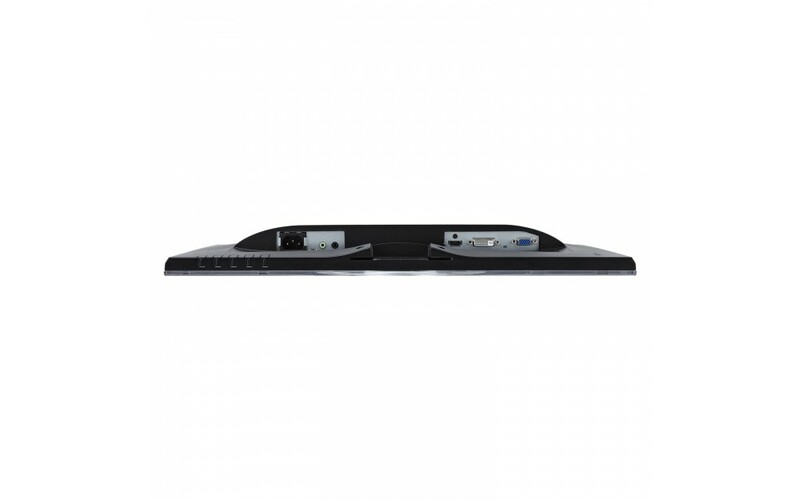 For the connectivity options, the monitor is offering an HDMI, DVI, and a VGA port. However, there is no display port embedded with the ViewSonic VX2452MH gaming monitor. Apart from these ports, there is an Audio in port, just in case if you want to insert a mic and a headphone port. The headphone port also can be used to connect external speakers. Or you can connect headphones for silent gaming. It all actually depends on how you want to use the monitor. However, there is one thing that you may not like about the gaming monitor is that it lacks USB ports. It would have been better if the company would have the USB ports. Coming to the performance of the ViewSonic VX2452MH gaming monitor, well we have to say that the performance of the monitor is really good. It delivered a stable picture quality while playing a game also while streaming a video. The display was blur-free and there is no ghosting at all. The input lag was not found anywhere. Overall the picture quality was sharp and accurate. But the quality is best in the business? Well, not really and there is a reason behind it. As the monitor comes with a TN panel so you can not expect best picture quality from it. For that, you have to go for a gaming monitor that comes with an IPS panel. The color accuracy was nice and satisfying. Apart from the picture quality, the response time of the monitor is 2ms which is definitely not best in the business. You will feel issues while playing games like counter strike or any other fast FPS games. However, if you are not a professional gamer the monitor will work great for you. Also, there are no such features like low blue light to protect your eyes from long gaming. But you can protect your eyes by getting a computer glass additionally. The monitor is super energy efficient. You are getting decent inbuilt speakers. The ViewSonic VX2452MH holds a reasonable price tag. You may notice color fading issues while looking at the monitor from the side angle. The green shade of the monitor might make you feel sad. However, it is not noticeable. Overall we can not complain much about the monitor. As the company is offering the monitor at a reasonable price with most of the needed features and specifications. But still the ViewSonic VX2452MH gaming monitor may not satisfy the professional or experienced gamers but it is undoubtedly one of the great options for beginners. Just in case if you are planning to buy the ViewSonic VX2452MH gaming monitor then you definitely should.